Although Southwest Airlines first flew in 1971, it did not come into its own until after deregulation in 1978. Southwest felt that the legacy carriers had stuffy images and framed themselves as a more spirited alternative. 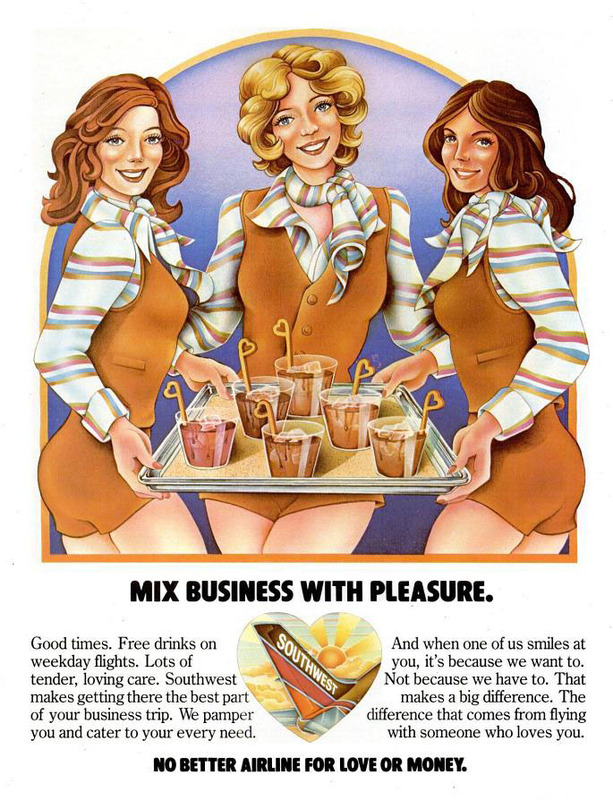 The first flight attendant uniforms included hot pants and go-go boots, and Southwest claimed to have the best food of any carrier: they served only drinks, including free alcohol. Some analysts claimed that the early success of Southwest indicated that deregulation had succeeded in removing barriers to entry into the industry for new airlines. 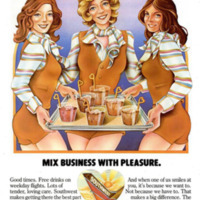 Southwest Airlines, “Mix Business With Pleasure,” The American Century, accessed April 20, 2019, https://americancentury.omeka.wlu.edu/items/show/389.